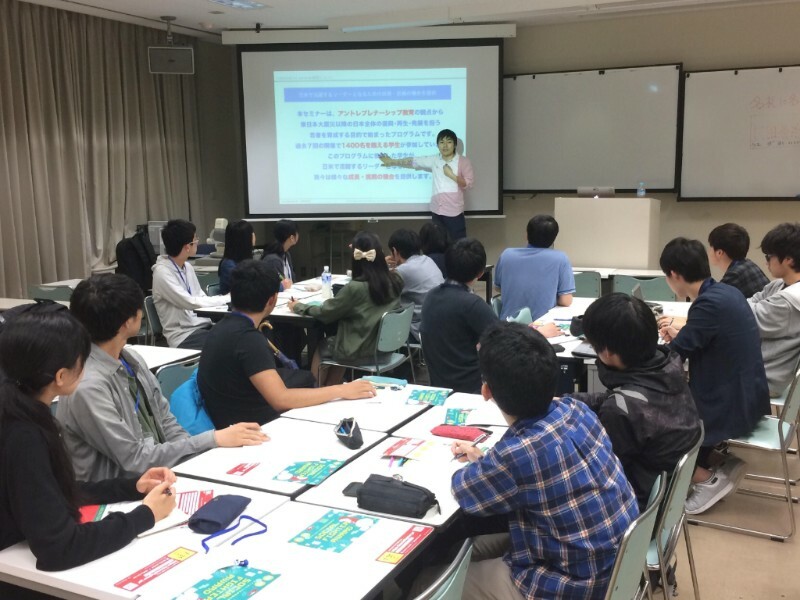 The pre-seminars for the 8th U.S. Embassy-Keio SFC-TOMODACHI Entrepreneurship Seminar kicked off in Tokushima Prefecture on May 10, followed by pre-seminars in Fukushima Prefecture on May 17, and Niigata Prefecture on May 27. This nine-months program consists of pre-seminars that take place between May and July at approximately 13 locations throughout Japan; a camp seminar in September; a final session in November; and a concluding field study tour which sends the winning groups from the final session to Silicon Valley. The program is generously funded by the Boeing Company. 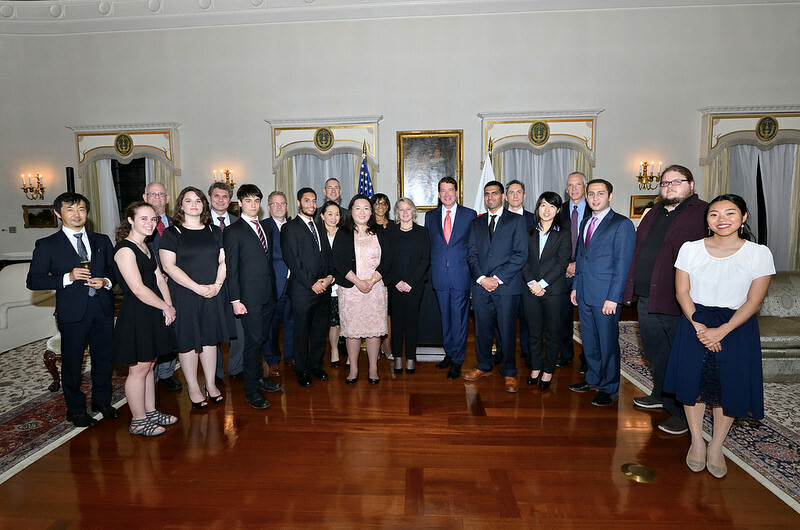 On April 26, the United States-Japan Bridging Foundation celebrated its 20th anniversary at U.S. Ambassador to Japan, William F. Hagerty’s residence. The Bridging Scholarship is implemented by the foundation, and approximately ten 2017-2018 Bridging Scholars were invited to the reception. 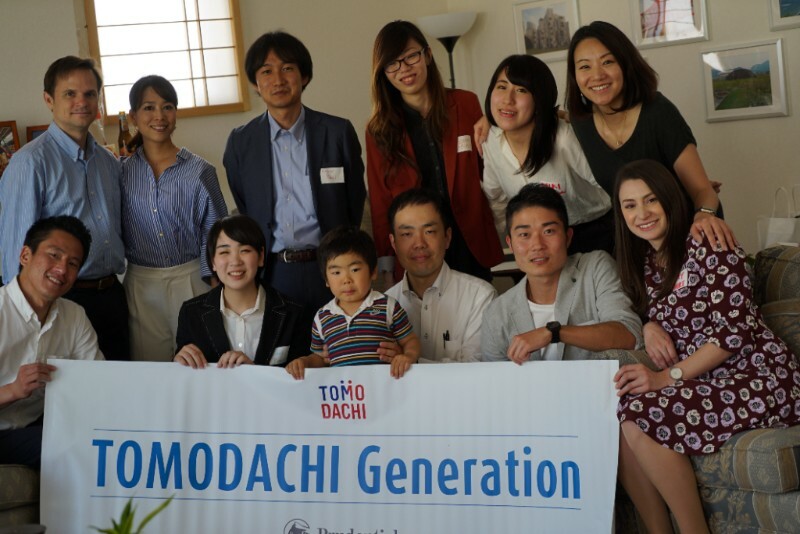 On May 12, 2018, the Chubu-Hokuriku Region kicked off with their very first TOMODACHI Alumni event in the region. The Welcome Event was hosted at the residence of U.S. Nagoya Consulate Principal Officer, Mr. Gary Schaefer. Ten people from across the region gathered; some joining locally from the Nagoya area and others traveling as far as from Toyama and Shizuoka. On May 18, 2018, 21 TOMODACHI Alumni from across the Kyushu Region gathered at the Fukuoka American Center to hear from two special guest speakers: Julie Chung, Director of the Office of Japanese Affairs at the U.S. Department of State, and Vanessa Zenji, Consul for Public Affairs at the U.S. Consulate in Fukuoka. Ms. Komatsu started her Ph.D. at the Department of Electrical and Computer Engineering at Rice University in September of 2017. She received her bachelor’s degree in applied physics at Keio University in Japan. She spent her junior year at Rice University participating in an exchange program supported by the TOMODACHI Sumitomo Corporation Scholarship Program. She also participated in the TOMODACHI STEM @ Rice University for Female Students Program in 2017. She researches carbon nanomaterials for next-generation semiconductors and renewable energy devices. Now Accepting Applications for the TOMODACHI High School Women Career Mentoring Program in Fukushima supported by the TOMODACHI Combini Fund ! 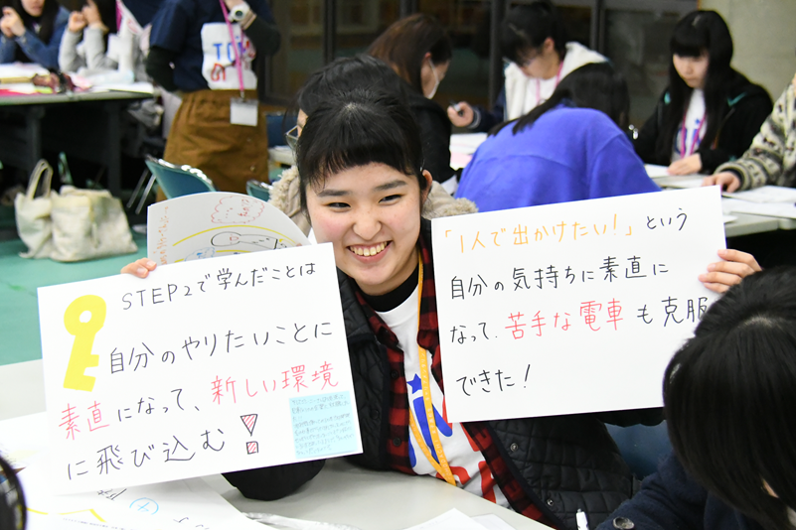 TOMODACHI High School Women Career Mentoring Program in Fukushima supported by the TOMODACHI Combini Fund provides career support to second-year high school women living in Fukushima prefecture. 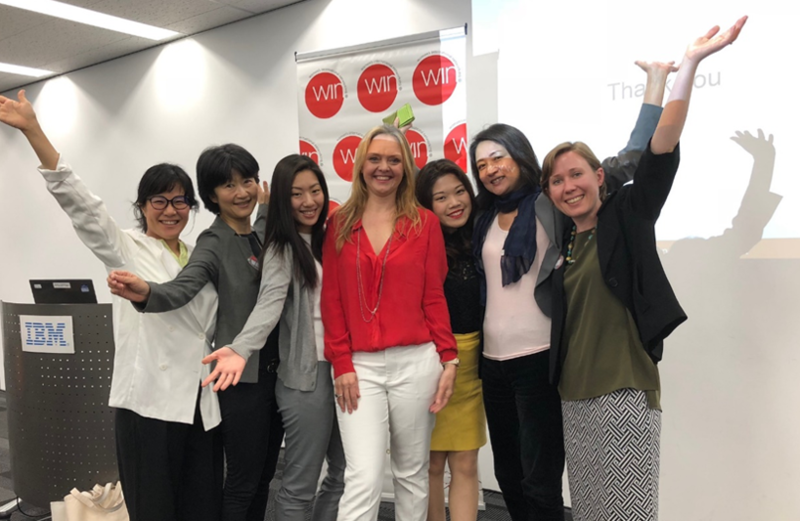 Through special sessions with students who have studied abroad and with professional women, the program explains the many options that high school women have for the future, which will lead to the development of leaders in Fukushima prefecture. For more information and to apply: click here (Japanese Only). Now Accepting Applications for the 2018-2019 TOMODACHI MetLife Women’s Leadership Program ! 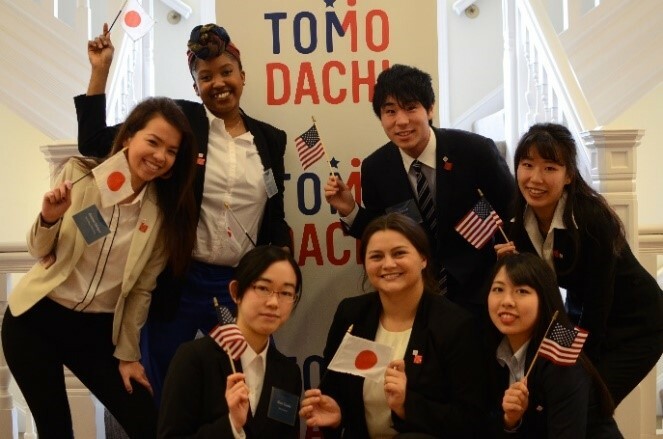 Now Accepting Applications for the 2018-2019 TOMODACHI MetLife Women’s Leadership Program! The TMWLP was originally held in Tokyo and Osaka and has expanded to include Naha, Fukuoka, and Sapporo on a rotating basis. The program is held in four cities each year. The 2018-2019 TMWLP program will be held in Tokyo, Osaka, Naha, and Sapporo. 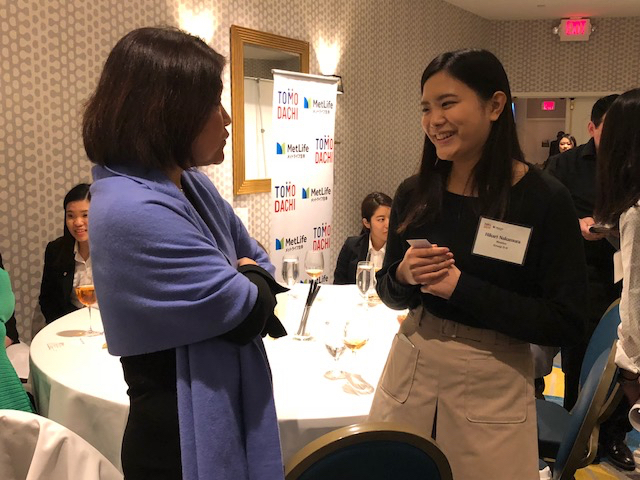 In the five-year period from 2013 to 2018, a total of 438 women (219 women university students and 219 mentors) have taken part.Through the year-long program, highly-motivated Japanese women university students work to hone their leadership skills. 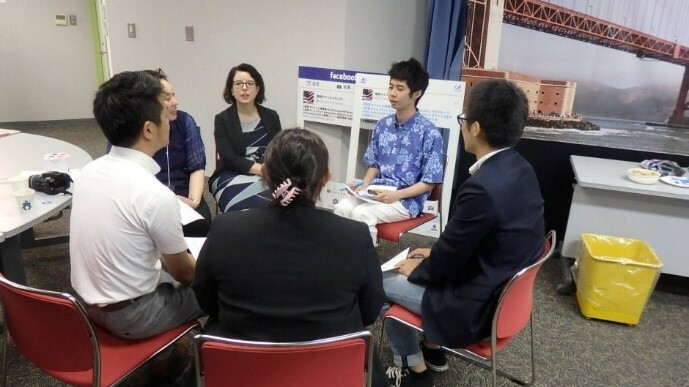 The students attend regular group sessions hosted by the U.S. Embassy that provide training in leadership development and financial empowerment by MetLife Japan. The students are also paired with female mid-career professionals as mentors to have one-on-one support and networking opportunities. 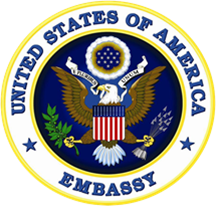 Mentees also visit Washington, D.C. and New York for a weeklong study trip. Throughout the program mentees and mentors are invited to attend special seminars with members of government and business leaders. 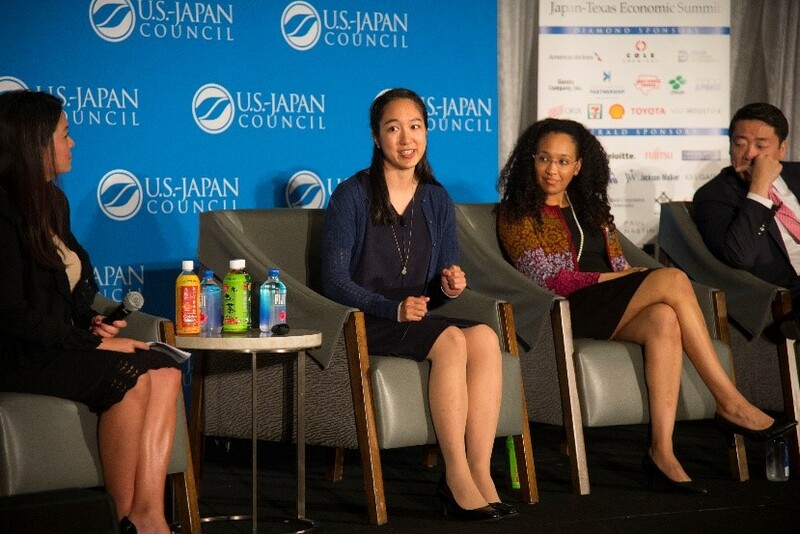 Now Accepting Applications for the Building the TOMODACHI Generation: Morgan Stanley Ambassadors Program !